Blenheim Ginger Ale is getting ready for the cool, wonderful fall weather that’s set to invade the Carolina’s very soon. It’s been a long hot summer here at South of the Border in Hamer, SC, almost as hot as our Old #3 Ginger Ale in the S.O.B cocktail. This month we start a new blog series called the “Vendor Spotlight”. Every so often we will highlight one of the fine retailers that has the good taste to carry the great taste of Good Ole Blenheim. 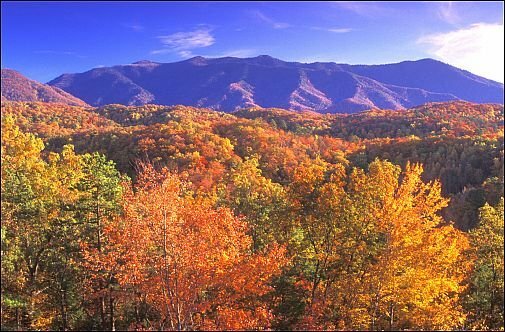 One of the great Southern Fall traditions for many families is a yearly trek to the Appalachian Mountains. Nearly every October we head up toward the Blue Ridge Parkway to buy farm fresh apples and check out the changing color of the Fall leaves. We really love when the leaves match our bottle cap colors of Gold and Red. While you are exploring the splendid sights in the mountains of North Carolina, you are never far from an icy cold bottle of Good Ole Blenheim. One of our biggest vendors is the Mast General Store family of traditional mercantile goods shops. We don’t often find too many businesses old than us, but their original location in Valle Crucis, NC has been in business since 1883 and that’s 20 years more than Blenheim. We don’t often find too many businesses older than us, and we salute the spirit of this fine company. Mast General Store is on the National Register of Historic Sites as one of the best examples of an old-timey country story. Their motto of “Cradle to Caskets” meant they tried to carry anything the families of the valley might need for daily life. Soon people begin to have a saying “If you can’t buy it here, you don’t need it.” You could buy everything from cloth to make diapers to plows for the field. At various times you could also find a doctor’s office, post office and trading post inside the store. It was truly the community hub of Valle Crucis. Now Mast General Store has expanded to 8 locations throughout Appalachia and the Carolinas. Their stores stretch from Knoxville, TN to Greenville, SC and include cities like Boone, Asheville and Hendersonville in the N. Carolina mountain country. So anywhere along your Fall leaf watching and apple picking sojourn, a spicy Blenheim Ginger Ale won’t be far away to kill that Autumn chill. You can connect with Blenheim Ginger Ale by subscribing to our Blog for occasional updates, “Like” the Official Blenheim Ginger Ale Facebook page and follow us on Twitter (@GoodOleBlenheim). If you don’t live near the Blenheim Ginger Ale headquarters at South of the Border Tourist Attraction, you can use the Blenheim Store Locator to find a vendor near you. We also offer direct Factory-to-Door shipping from the Blenheim Ginger Ale Online Shop. This is the only store directly owned, operated and run by Blenheim Ginger Ale, and the only place you can get the new Mixed Case which allows you to choose any of the Good Ole Blenheim Ginger Ale flavors you prefer. This entry was posted on Tuesday, October 9th, 2012 at 10:28 pm	and is filed under Vendor Spotlight. You can follow any responses to this entry through the RSS 2.0 feed. You can leave a response, or trackback from your own site. Thanks for the mention! It’s always good when two “senior citizens” get together and reminisce. Often times we find that some times are just too good to leave behind…like a visit to the Mast General Store to enjoy a hot game of checkers by the pot-bellied stove and a cool Blenheim ginger ale. Don’t forget our newest store in Columbia, SC…and thanks for the mention. You’re quite welcome and thanks for being a loyal Blenheim Retailer. Mast is such a great place to visit and has the same old-timey spirit as Blenheim, so we knew we had to salute you guys on our site. The great taste of ole timey ginger ale is wonderful. I only wish more stores would carry this great product. Everyone could benefit from it’s presence in their store. Keep up the great work of putting it out…. i live in Ninety Six SC. Where is your closest vendor to me? You can use the Blenheim Ginger Ale Store Locator to find our closest location. I’m from RI and read about your ginger ale in Good Housekeeping last year. I finally got my hands on a couple of cases and have become obsessed with it! A friend has offered to pick up more for me on his swing through SC… YAY! My question: As he will be passing right by the South of the Border plant, do you have an on-site store there? Thanks! Can the empty bottles be returned anywhere for cash?